Do you have the ambition to run your own accountancy franchise? Are you looking to escape corporate life?Are you looking for that ideal work-life balance? Are you looking to build a valuable asset that could secure your future? At TaxAssist Accountants, we can provide you with the opportunity to do all the above. 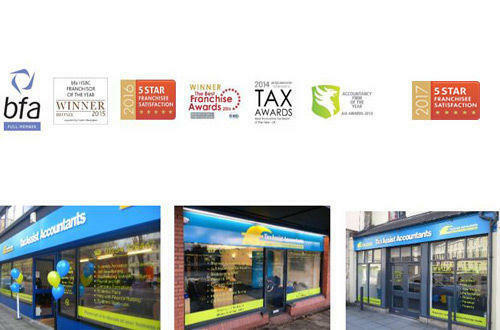 TaxAssist Accountants is the largest and most successful franchise accountancy network in the UK with over 280 shops and offices across the country, servicing more than 65,000 clients. Our business specialises in servicing the needs of small businesses and self-employed individuals, that has traditionally been over-charged and under-serviced. Operating from unique shopfronts, our franchisees provide an accessible and welcoming location for small business clients to meet with an accountant at their convenience. Sales across the network continue to grow and franchisees should aim to build up turnover and profits consistently, aiming after 5 years for a turnover of £300,000+. Those franchisees who are continuing to be proactive with networking and marketing strategies are pushing past the £500,000 turnover level. Why the demand in TaxAssist Accountants? The small business market is huge in the UK. According to the Department for Business, Innovation and Skills, over 99% of businesses were Small or Medium sized in 2017 and 96% were micro-businesses employing 0-9 employees. Every small business needs to have an annual set of accounts prepared. Very few business people have the knowledge or inclination to prepare their own accounts, hence the ever-increasing demand for accountancy services. Our six-week intensive training course, delivered by qualified in-house experts, covers all aspects of the TaxAssist Accountants business model and prepares new franchisees for successfully trading. This is followed up by further training in months 2, 3 and 6, as well as ongoing regional courses and visits by our Franchise Development Managers. Visibility, credibility, walk-in business and brand reinforcement are just a few of the benefits that operating from a shop front premises bring. 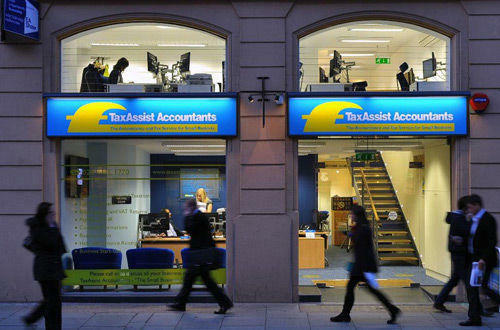 Having a visible presence within the business community helps build awareness of your TaxAssist practice. Stand out from the crowd with our fresh approach to accountancy. Attend one of our popular Discovery Days, which are hosted at our UK Support Centre. You will discover more about our business model, the support we provide and how you can build a successful and profitable business. Contact TaxAssist Accountants to book your place today.